Leland S. Long entered into the presence of his Lord, Jesus Christ, on Friday, April 12, 2019, at the age of 93. He is survived by his wife of 68 years, Elizabeth (Betty) Lou Long, by his four children and their spouses, Loren and Brenda Long (Ankeny), Lynnette Long (Albuquerque, NM), Lowell and Cathy Long (Altoona), and Larry and Tracy Long (Clive), by eight grandchildren and their five spouses and nine great-grandchildren. Other living relatives include his brother, Jim and Lois Long (Lake View), as well as many nieces, nephews, cousins and their families. He was preceded in death by his brother Dale Long (Sac City), his parents, Irven J. Long and Winifred I. Sagstuen Long (Lake View), several pets and his 1988 Pontiac 6000. In Leland’s travels through life no one he met along the way remained a stranger for long. He knew Iowa well through his work in farm management. He had a knack for discovering mutual acquaintances and places he and others had in common. Leland was born in Carroll on January 21, 1926, and grew up on his parents’ farm near Lake View. After graduating from Lake View High School, he joined the U.S. Army in 1945 and served in the Pacific Theater until 1947. Upon returning from World War II he studied Agriculture at Iowa State College (now ISU), graduating in 1951. On August 27, 1950, Leland married Elizabeth Lou Ammer in Sac City. 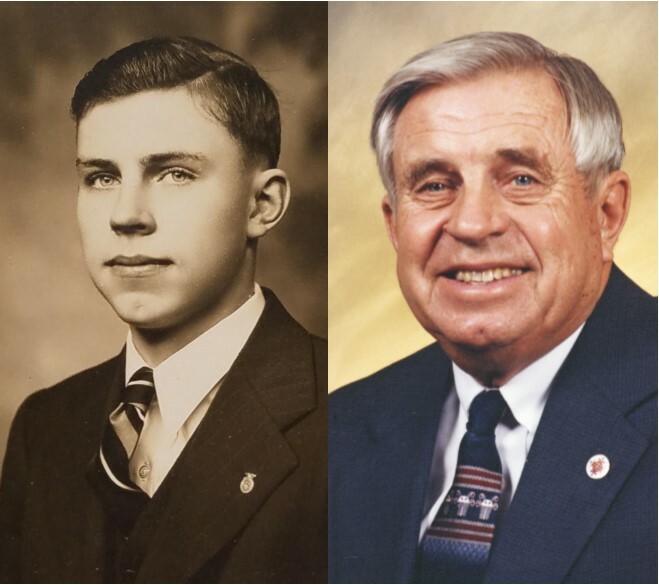 Between 1950 and 1962 they lived in Des Moines, Bayard, Durant and Albert City while Leland worked as a banker, insurance agent and vocational agriculture teacher. They returned to Des Moines in 1962 when Leland was hired as a farm manager for Central National Bank. In 1980 he started the farm management department for Agri Industries and later formed Long Management Services, from which he retired in 1991. In later years Leland and Betty Lou traveled, wintered in Arizona and enjoyed living near friends at Valley View Village. Leland served God and his neighbors as a mentor, teacher and leader at The Well Covenant Church in Des Moines. He also served on the board at Twin Lakes Bible Camp in Manson and as a representative to the Midwest Conference of the Evangelical Covenant Church of America. He was a member of the Kiwanis, the Scandinavian Club and the American Legion. A visitation will be held from 6-8 p.m. on Monday, April 15 and funeral services will be at 10:30 a.m. on Tuesday, April 16, both at The Well Covenant Church, 2625 Hubbell Avenue in Des Moines. Memorials in his honor may be directed to The Well Covenant Church or Valley View Village.